Experience Gulf Harbour, venue for the 1998 World Cup of Golf and host venue for the 2005 & 2006 New Zealand Open. 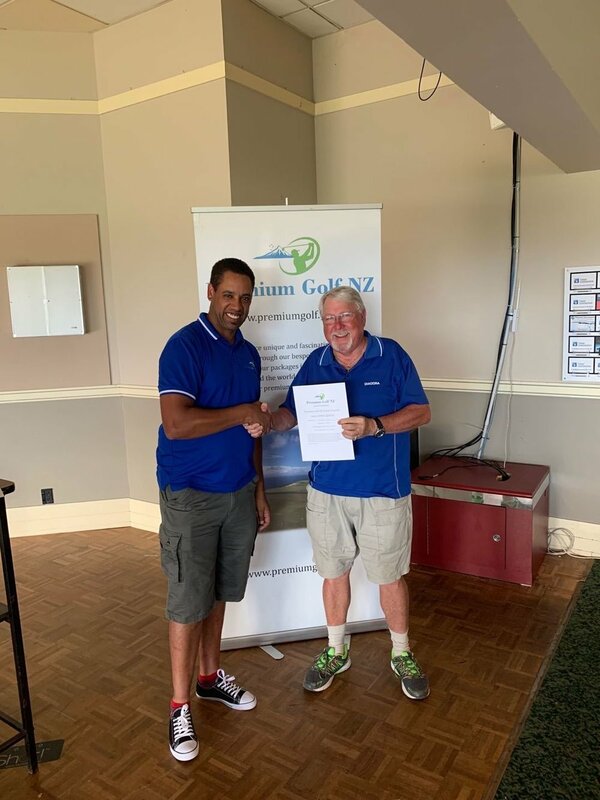 In 2019 The PGNZ Summer Golf Experience Series will be run as two day event at Gulf Harbour Country Club. Further details to be announced by April 30th. Subscribe to our regular events newsletter below to stay informed and up to date. Thank you for subscribing to this mailing list. 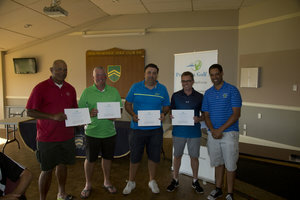 Thank you very much to all the keen golfers who participated in the 2018 Premium Golf NZ Summer Series. Congratulations to all the prize winners and thank you to the clubs and our sponsors (Honda Cars Newmarket, TSS Club Hire and the NZGOLFDOCTOR. Thank you also to those people who provided feedback on the Summer Series. 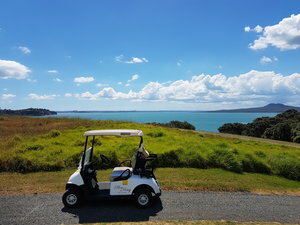 The 2018 Premium Golf NZ Summer Series tournament was a 5 day 5 course golf tournament series event held in Auckland, New Zealand celbratingthe best of Auckland golf, exciting golf travel, stunning golf scenery, friendship, food, beverages, fun and summer enjoyment. Limited to 120 players per day and in the interest of faster play, all Summer Series tournaments are Stableford format with an approximate afternoon 12/1230pm start. Details on the 2019 Prize table to be posted on this page as we confirm details and new sponsor agreements. The Major Prize for the 2019 Summer Series will be announced here. Camp Quality - Camp Quality brings fun, hope and happiness into the lives of children living with cancer – inspiring them to get on with being kids again. 29th December 2017: Akarana Golf Club - Heritage and innercity parklands golfing. Final results here. 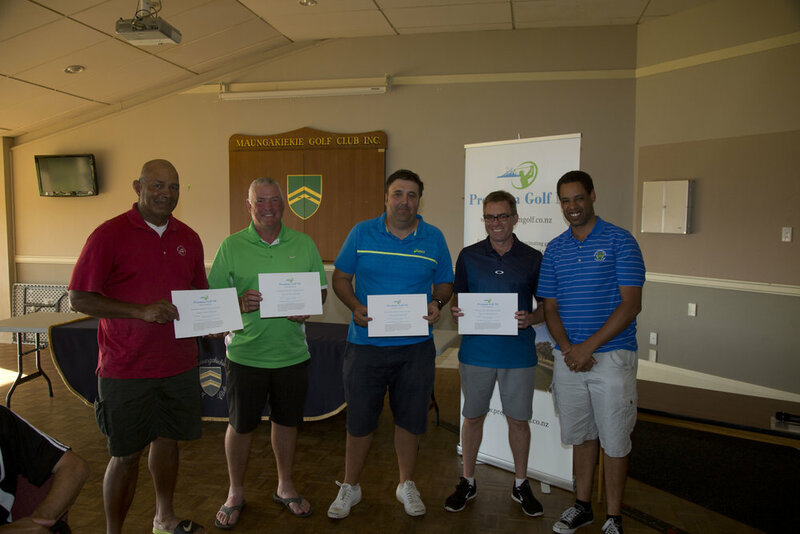 30th December 2017: Maungakiekie Golf Club - One of New Zealand's friendliest golf clubs. Final results here and Two's competition here. Over $1200.00 was raised through fundraising activities and donated to Camp Quality. Thank you to all the clubs for hosting the events and providing four very distinct golfing experiences on the four different days. 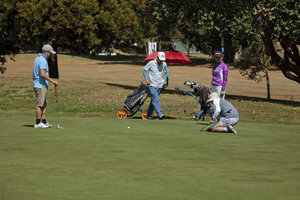 The first round was held on Wednesday 27th December at the picturesque Howick Golf Club. See the photos below. 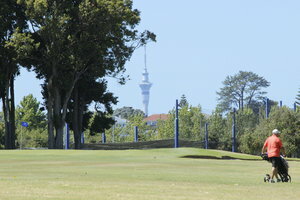 The third round was played on Friday 29th December at the beautiful innercity parklands style course of Akarana! See the photos below. 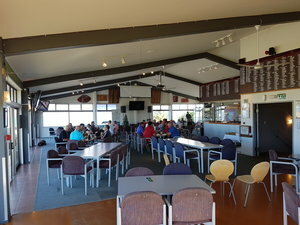 The fourth round was played at Maungakiekie Golf Club, one of New Zealand's friendliest golf clubs. See the photos below. Read more about our stable of host courses below. Depending on annual rotation some courses may or may not participate in the Summer Series! Howick Golf Club is located in East Auckland and offers superb and dramatic golfing along the peninsula cliff tops, commanding spectacular panoramic views of the Hauraki Gulf islands including Rangitoto, with the North Shore in the distance and a glimpse of the Sky Tower and the Waitemata Harbour. Howick is a real "hidden gem" in the Auckland golf region and a must play for all visiting golfers. 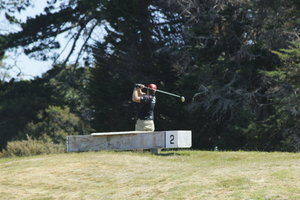 Titirangi Golf Club is New Zealand's only Alister MacKenzie designed golf club. 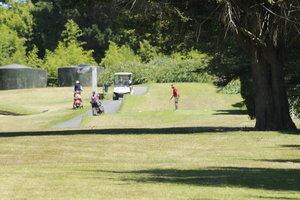 A walking course, this innercity golfing delight is a must play for all purist golfers. Tradition and heritage blend seamlessly into the serene peaceful course settings. Complete with its own "Amen corner", Titirangi is a championship golf course that requires thought, skill and determination. Bring your A game or the course will deliver you your B game! 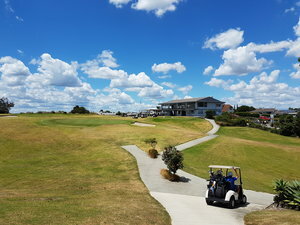 Akarana, just off State Highway 20, is Auckland's perennial golf course achiever, host to numerous New Zealand professional and amateur opens. A warm and welcoming course, steeped in history and peopled by famous names, golfers and characters, Akarana is a vibrant and happening club. One's round here always ends up in the 19th with happy and content conversations and much earned imbibing of New Zealand's finest ales, wines and spirits. 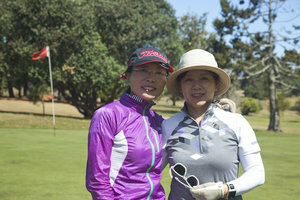 Maungakiekie Golf Club is Auckland's friendliest golf club. 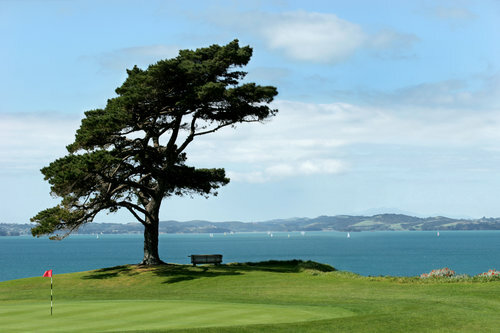 One of Auckland's oldest clubs, designed by legendary British designer Charles Alison, the iconic clubhouse full of characters and personalities, grandly overlooks the course and has stunning views westwards towards the Waitakere ranges. Beautifully countoured and fairways and greens nestle themselves under beautiful natives trees and the sounds of birds and wildlife add to a pleasant golfing experience. "Offering the finest in luxury golf travel"
Interested in becoming a sponsor or partner - enquire via our contact page or send us an email to discuss further! We will be announcing finalised information on the 2020 Summer Series soon - register your interest above to secure your place. Played in this series before? Share your stories, annecdotes, testimonials, photos and memories with us. Image Gallery and Social Media. Follow us at #pgnzsummerseries.